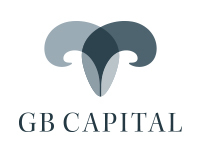 GB CAPITAL specializes in capital raising and financial engineering to develop optimal capital structures for its clients. The company has been involved in the structuring and arranging of funding across the capital structure including senior debt, junior debt, mezzanine finance and equity. Many of the transactions completed throughout the Caribbean and Central America involve complex cross border structures, tax optimization, foreign exchange and investor requirements. Financing structures have included commercial bank debt, fixed income capital market instruments, project finance, mezzanine and holding company financing, preferred and common equity. The team has successfully completed financing with the largest commercial banks in the region, institutional investors, public corporations and developmental agencies such as International Finance Corporation, FMO and the Inter-American Investment Corporation. The financing structures have included funding for start up ventures, project finance, acquisition financing, liability management and trade finance. While the team has focused on portfolio companies of the group, they has have also assisted third companies to obtain in securing financing. while providing adequate financial returns to its shareholders.